Nokia has opened the Ovi Store, where owners of around 50 different Nokia devices can download applications, games, videos and podcasts. The store consolidates existing services, including Download!, MOSH and WidSets into a one-stop-shop for free and paid content. 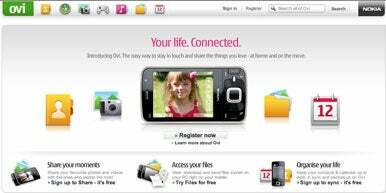 The store offers 20,000 different items, and can be accessed by around 50 million Nokia device owners, the company said. Store visitors can choose to view all items, or only those compatible with their phone. Users can access the store via the mobile phone browser, the PC browser or a mobile client. The mobile client is available on a number S60 and S40 devices in Australia, Germany, Ireland, Italy, Russia, Singapore, Spain, the U.K. and the U.S., according to a spokesman at Nokia. These countries — except for the U.S. — also offer support for operator billing. In the rest of the world users pay using credit cards. Some U.S. consumers will get operator billing when mobile operator AT&T start to offer integrated support for the Ovi store later this year, Nokia said. The key challenges for Nokia will be making consumers aware of the store, and generating developer interest: both will require significant advertising, according to Ben Wood of analyst firm CCS Insight. The opening of the store is a step in the right direction for Nokia, allowing it to compete with Apple’s iPhone App Store and Research In Motion’s BlackBerry App World, Wood said. But the first day of business has turned out to be a nightmare for Nokia. The company wasn’t ready for the number of users that have tried to access the store. Shortly after the launch, users started experiencing performance issues when accessing store.ovi.com and store.ovi.mobi, according to the Ovi blog. To improve performance it started adding servers, which has resulted in intermittent performance improvements, the Ovi blog said. The situation is made worse by the fact that the users who are accessing the site today are early adopters and bloggers who educate and influence the market, according to Wood. They could have been a marketing vehicle for Nokia, but bad publicity from them will now make it harder for Nokia to compete with existing application stores, according to Wood.